This small park nestled in the East Natick part of Warwick abuts the Washington Secondary Bike Path. The park consists of a walking path, ball field, playground, and basketball court. The back end of the property is wooded and a trail and boardwalk leads to the shore of the Pawtuxet River. There is also a canoe put-in site here. There is access to the bike path from this park if you would like to add a little distance to your walk. This trail, which lies on a former railroad bed, is wedged between an industrial area and the Pawtuxet River. It is a short out and back walk on a grassy path that is surrounded by shrubs and some wildflowers. It is a haven for birds in an area that lacks open space. Although the parking area is in Warwick, the walk itself is almost entirely in Cranston. It first passes a cemetery that is the final resting place for people who were in the State Institutions. 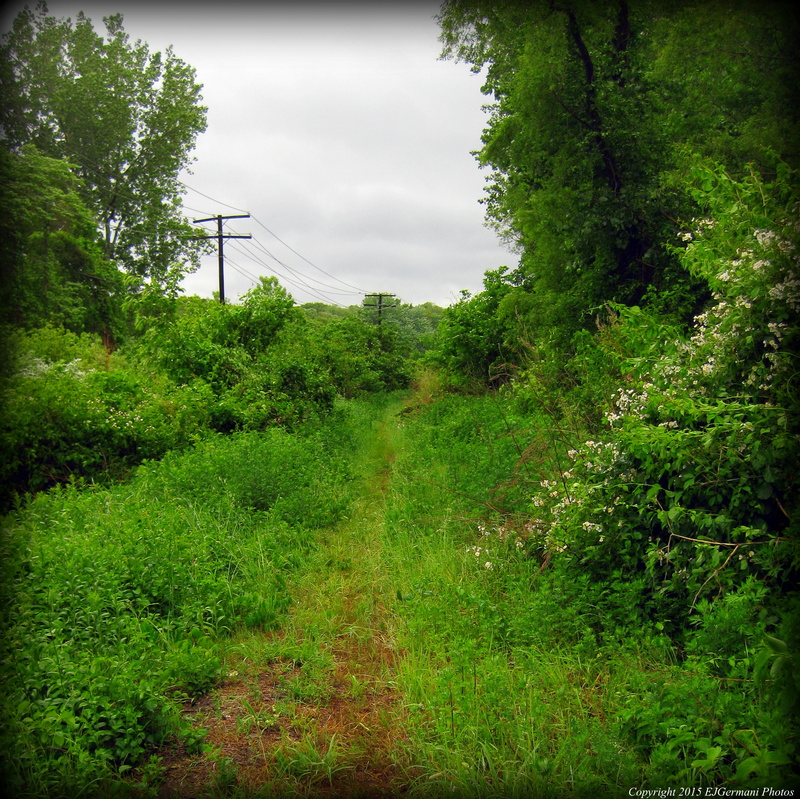 It then follows the former railroad bed and a set of power lines for about 0.4 miles. It ends near the industrial area on Ross Simons Drive. 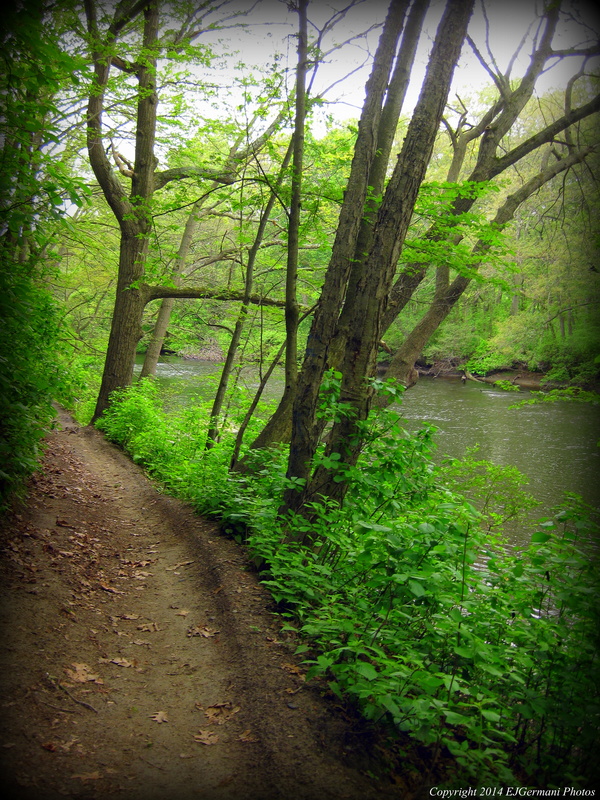 After returning to the cemetery I found a spur trail leads from the corner of the cemetery to the river. I did not find a map on-line. Once A Railroad In An Industrial Area Is Now A Trail. 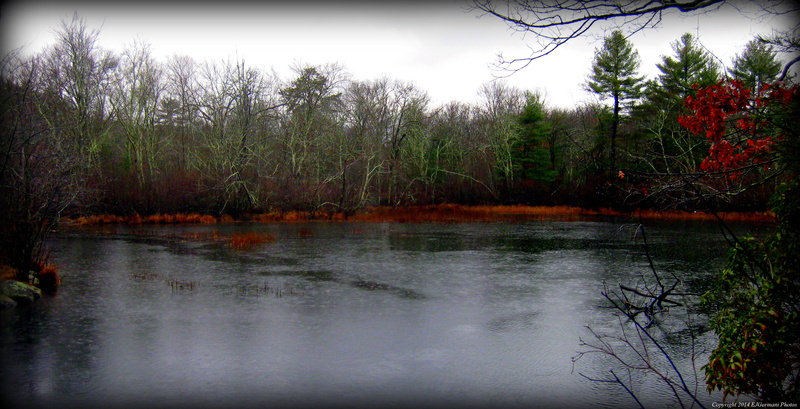 I took a drive out to Scituate for a short and very wet Christmas morning hike. This property has been on my radar the last few weeks after talking to someone from the Rhode Island Land Trust Council about it. The property is maintained by the Hope Associates and was acquired in the 1990’s from two local doctors for which the property is named for. Much like Westconnaug Meadows, many of the trees on the property have been labeled. The property is dominated mostly by various pines and cedars. The trail starts at a large parking area. 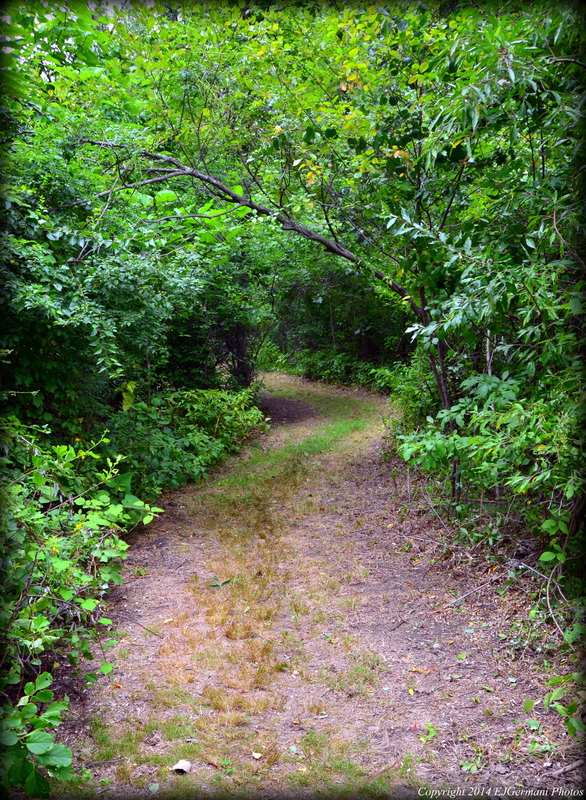 The red blazed loop trail starts by following a cart path into the property. There are several boulders in the woods along this stretch. Soon I came to an intersection with a white blazed cut through to the left. I continued straight following the red blazed trail slightly uphill before coming to the Pawtuxet River. The trail then turns to the left and again slightly uphill then slight left again. The white blazed trail again intersects on the left here. I choose to continue following the red trail through a grove of tall pines, then passing a stone wall. The trail soon exits onto a paved road. Turning left here, I followed the road about a hundred feet, turning left again onto Doctors Lane back to the parking lot. Riverpoint Park is a recreation complex in West Warwick. It has several ball fields as well as basketball courts. There is also a river walk here. Parking by the Tim O’Brien field, the trailhead is just to the right of the field. It starts as an asphalt walk (which is known as the Jaycee corridor and arboretum) before passing under a trellis. From here the trail heads downhill and turns eventually into a dirt path. The trail then winds along the Pawtuxet River to the right through areas of woods and fields. Occasionally there are spots to view the river. Along this trail there is an interesting structure. It is the remains of an abutment. This was once part of a railroad bridge that crossed the river. The main trail then passes to the right of a pavilion before winding uphill to a parking area. From here my fellow hiker and I weaved our way through the parking lots back to the car. 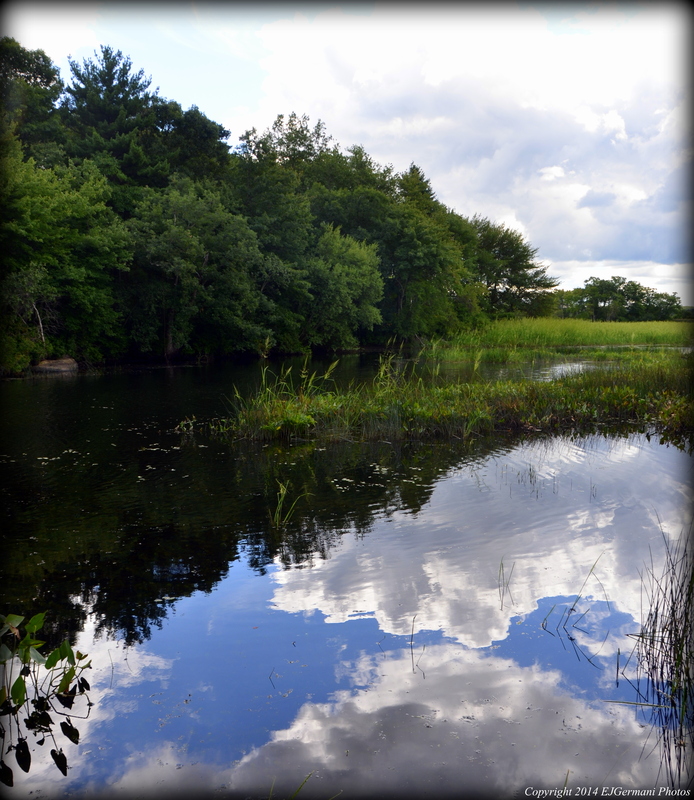 On this property behind the homestead there is a small network of trails that run along and near the Pawtuxet River from the Washington Secondary Trail to a small peninsula. There is a spot to view the Anthony Trellis Bridge as well as the Clairiant Falls along the river. The falls are a manmade dam that once served a large mill building across the river. To access the trails follow the driveway to the right of the homestead. There is an opening in the stone wall here. Follow the path to the cemetery. There is an opening in the stone wall to the left of the cemetery. This is the access point to the trails. As for the homestead itself, there is a vast amount of history here. Nathanael Greene was second in command to George Washington during the American Revolution. 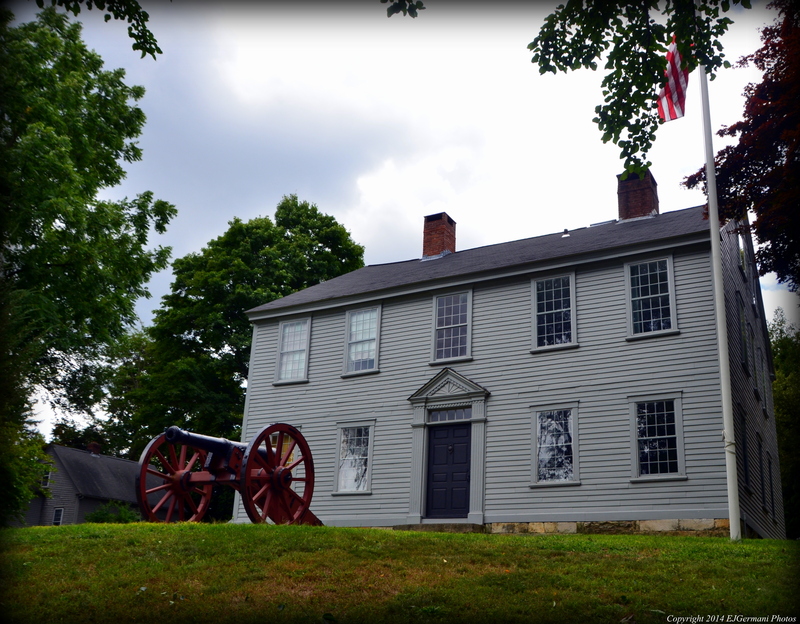 The homestead, built by Nathanael, dates back to 1770. It remained in the Greene family for several generations. Today it is a museum. There is an admission fee for the museum. Call 401-821-8630 for hours. The cemetery on the property is that of the Greene family. Nathanael, however, is not buried here. The site also hosts a reenactment of an American Revolution battle the weekend after Mothers Day each year. This conservation area off of the Washington Secondary Trail in Coventry is a fairly large parcel that hugs the shore of the Pawtuxet River. There is a network of unmarked trails that meander through areas of oaks and pines. In areas the ground is covered with ferns. There are a couple spots that you can view the river. One of the trails leads to a nearby cemetery with graves dating back to the 1800’s. Belmont Park is the tale of two trails. It is mostly known for and used as a recreation area with it’s baseball and soccer fields. There are however places to walk here. The first is a trail that runs along the Pawtuxet River and runs about a half mile long from a timber guard rail at the end of First Avenue to a residential neighborhood. The trail has some slight hills and is muddy in areas. It is also very evident that off road bicyclists and dirt bikes use this area as well. I came across several birds here and also saw the first bloom of mountain laurel this season. I was actually quite surprised to find it here. After exploring this trail to its end and back I returned to the end of First Avenue then turned right through a parking area for a bit before I came to the second trail. This one was not so much a trail rather than a paved walking path through the woods. It was heavily wooded with only a few areas to view the river. This path loops and follows the river back to another parking area. At the parking area I opted to cut through it instead of following the path continues ahead a bit almost back to Elmwood Avenue. I then made my way back to the car parked at the end of First Avenue. I did not find a trail map online.